Cosmetic companies (at least in the United States) are prohibited by law from making false claims. However, that doesn’t mean that they can’t make claims that sound amazing and wonderful, even though they are not that meaningful. Understanding what claims really mean and what kind of evidence is required to support them can make you a smarter shopper. The first step in figuring out how product claims are supported is to figure out what claims are being made. This takes some practice and some thoughtful reading. Let’s look at the example of Pantene Shampoo + Conditioner. I like Drugstore.com because they list claims and ingredients in a handy text-friendly form. Here is what is listed for the Pantene product. Pantene’s unique shampoo & conditioner system with weightless moisturizers replenishes hair from root to tip to help prevent split ends from forming. Pantene Dry to Moisturized Conditioner helps repair damage, revealing your light, bouncy, revitalized hair. Now, let’s list all the claims they are making. A few of these claims can simply be supported with logic. 1. 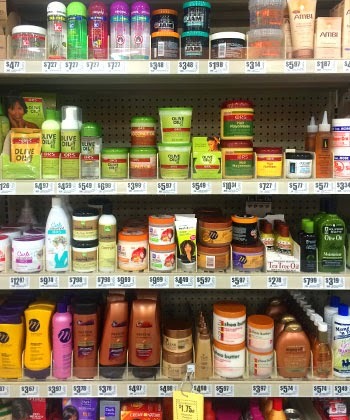 As long as the exact shampoo & conditioner formulas are not used in some other line, they are unique. Thus, the claim is validated. 2. This claim is a little questionable as the term “weightless” implies they have no mass. However, the company could support this by weighing hair before use, then after use and as long as there is no significant difference, the claim is verified. 3. “Replenish” is practically a meaningless word so the company has lots of leeway in defining it. As long as they can prove something is left behind (e.g. silicone, cationic polymer), then they could support this claim. 4. Preventing split ends can be supported by counting the number of split ends caused by combing (robotic comb). They can compare it to treated versus untreated hair. If there are less split ends on treated hair, the claim is supported. 5. “Repairing damage” is a tricky claim to support, but “helping to repair damage” is much easier. By pointing to the moisturizing ingredients and the improvement in combing as proof, the company can support the claim of helping to repair damage. 6. These are just fluff claims, but the company could use an Instron or Diastron or some other hair device to demonstrate “bounciness.” As long as they compare it to some untreated control, they wouldn’t have a problem doing better. 7. Strengthen hair is a tricky claim, but companies have used robotic combs to demonstrate that there is less breaking when combing through treated hair. The hair isn’t actually stronger, but it breaks less so TV and other media have accepted the argument. 9. This is a vague claim, but they could support it by washing colored hair with the system and demonstrating that it hasn’t significantly changed. Reputable cosmetic companies will never lie to you about what their products can do. However, they may exaggerate the truth to entice you to buy a product. If you learn to read between the lines and to understand what claims really mean you’ll be able to make better shopping choices. And always remember – if a claim sounds too good to be true it probably is. I'm not immune to amazing product claims. It's what feeds my product junkyism. As a rule, though, I do my best to not be persuaded by the flowery language on the fronts and sides of the bottles and instead look at the first 5 ingredients on the back. This usually will give me everything I need to know (whether it will moisturize my situation or not, if it'll be adequately slippery, if it'll be frizz inducing). When it really comes down to it, a solid, consistent, gentle regimen are the keys to dope hair. Obviously products help along the way (especially ones with slip), but there are no shortcuts, magic potions or silver bullets. Patience and consistency. Patience and consistency. What has your experience been with product claims? Share below!